The EU-Australia free trade agreement will be a game-changer for a strong and dynamic economic relationship. When the World Trade Organization’s Doha Round could not be achieved, it became obvious that the European Union and Australia needed to deepen our bilateral ties based on our shared commitment to free and fair trade. Australia and the European Union had already been laying the foundations for a new economic partnership with bilateral agreements such as the Wine Agreement, finalised a decade ago, the more recent Crisis Management Agreement, and most importantly the treaty-level Framework Agreement which collectively enshrine these common interests and shared values, and thereby pave the way to an ambitious and comprehensive free trade agreement (FTA). 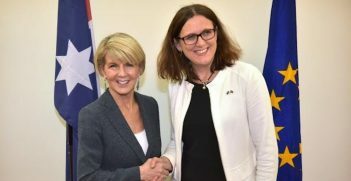 The European Australian Business Council (EABC) has long-advocated for this missing piece of the bilateral architecture to be established, and we were delighted to host EU Trade Commissioner Cecilia Malmström in Sydney in June 2018 on the occasion of her visit to Australia to formally launch the FTA negotiating process. 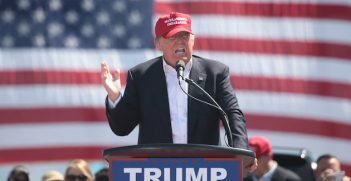 The economic relationship is already strong and dynamic, with two-way trade amounting to over $A100 billion and investment totalling $A1.7 trillion. Building on this, the trade agreement will further facilitate business linkages and provide companies with a stronger framework for pursuing business opportunities. It will constitute the necessary legal framework to liberalise trade in goods and services and improve conditions for investment; develop better mechanisms for aligning the EU and Australian regulatory systems, and allow for the mutual recognition of skills and qualifications, among many others. The FTA will be a game changer for the 2,200 European companies operating in Australia, and further encourage the substantial and increasing volume of Australian investment flowing into long term, economic capacity-building projects across Europe. There are three sectors in particular where European companies have found strategic business opportunities that are already doing much to broaden and deepen the economic relationship. The first is in the renewable energy sector where European expertise and investment is at the forefront of building Australia’s clean energy capacity to help meet its Paris emissions reduction commitments. The second sector is infrastructure, where Australia’s strongly growing population (in 2018, the population crossed the 25 million mark – with one of the highest growth rates in the OECD), is driving an unprecedented level of public investment in economic and social infrastructure worth $A180 billion over the next four years. The third sector is in security and defence collaboration where, again, unprecedented levels of investment are occurring in Australia. Through its Integrated Investment Plan, the Australian Government is investing over $200 billion over the next decade to modernise its defence industry in partnership with many of Europe’s largest defence contractors. Through these contracts, Australia is engaging in a long-term relationship with companies whose technology, processes and skills will contribute to shaping Australia’s defence capability, with broader benefits flowing through the entire economy. An FTA which helps to optimise conditions for business flows will further unlock massive potential to do more: for Australia to be a strong partner for Europe in the strategically important Asia-Pacific region, and for Europe to welcome Australian companies and investors seeking high quality and stable business opportunities in the world’s largest single market. In particular, FTAs do much to remove the obstacles which will help small and medium enterprises expand into new markets and secure their place in valuable global supply chains. Our bilateral agenda should also include ways to significantly expand collaboration on research and innovation, including through the European Union’s next framework programme Horizon Europe, where there are obvious complementarities in areas such as health, the bio-economy, earth and marine sciences, space, and many others. With the FTA negotiations now launched, the EU and Australia should proceed to capture the momentum and demonstrate that the pathway to prosperity is by eliminating barriers and borders, not by building them. As developed countries, our ability to enhance our collaboration and jointly identify solutions to global shared challenges, including the future of work and skills, and climate change, will determine the long-term prosperity of our economies, and the well-being of our societies. 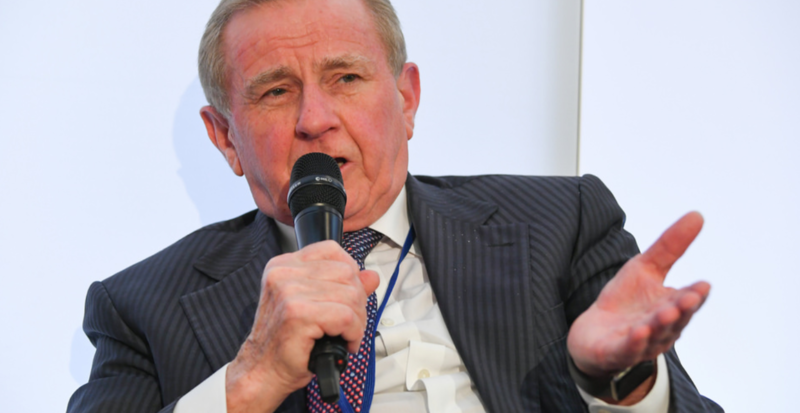 The Hon Simon Crean is Deputy Chair of the European Australian Business Council, as well as the Chair of the Australian Livestock Exporters’ Council, a Member of the Council of Monash University, and a Director of Linfox. Simon Crean is a distinguished Australian politician, having served as Leader of the Australian Labor Party and Leader of the Opposition. This article was originally published in The EU and Australia: Towards a New Era, the official publication of the EU-Australia Leadership Forum 2018, which took place from 18-22 November. It is republished with permission. The AIIA is part of the international consortium selected to deliver the EU-Australia Leadership Forum project, a three-year initiative funded by the EU. Click here for video highlights of the forum. 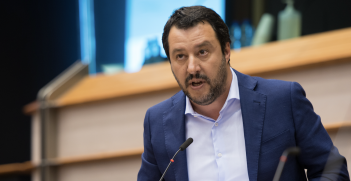 Italy’s recent blocking of EU recognition of an interim-president in Venezuela and its populist charge against France are founded on historical fault lines in Italy’s foreign policy and populist politics at home, rather than genuine geopolitical strategy.